Handling smoke damage since 2003, Complete Clean Water Extraction has seen how pervasive and toxic smoke and soot damage can be. Our goal is to not only minimize your loss, but also restore your peace of mind in the process. When you call Complete Clean Water Extraction, you'll be armed with a team fully equipped to handle your fire and smoke damage emergency, clean the affected areas and restore safe air quality in your building. As smoke damage experts, we will be there for you every step of the way. From the initial call, to our FAST response time, to the final clean up and sanitizing, Complete Clean Water Extraction will ensure the best restoration plan is put in place for you. Soot residue can be very toxic. Complete Clean Water Extraction is here to conduct a thorough testing of the soot residue to determine the best cleaning methods for you. We provide soot removal from upholstery and carpet, as well as brass, aluminum, chrome, marble, tile and porcelain. 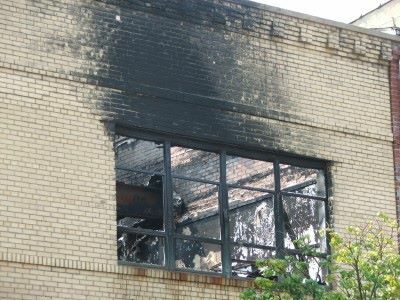 When you have smoke damage, call (210) 239-0486 for FAST, high quality restoration services. For 16 years, Complete Clean Water Extraction has been restoring your property and your peace of mind. Call Complete Clean Water Extraction right away when you’re experiencing smoke damage and need a trusted damage restoration expert.